Paololeo produces varietal and terroir focused wines in Puglia, Italy. Southern Italy excels is high quality soulful wines at exceptional value and is a wine region worth exploring and discovering. It is an ancient vine with unknown origin; It spread in Puglia especially in the provinces of Brindisi, Lecce and Taranto. 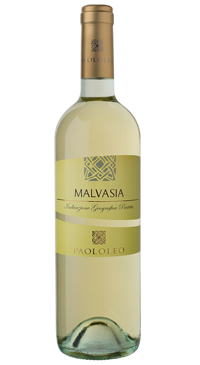 It belongs to the great family of Malvasia vine of Greek origin. It probably arrived in Puglia from the town of Monemvasia, the port of the Peloponnese. In the Middle Ages it was an active trade centre of white wines coming from the island of Crete, in ancient times called Candia. This is a particularly widespread grape variety of Salento; It is a grape with crisp pulp and thin skin with lightly aromatic features. Light straw yellow color; exotic fruits aromas reminiscent of melon and mango; delightfully fresh , harmonious o the palate. Excellent as an aperitif, first courses based on fish and seafood.